Spinning to learn. Spinning for fun. 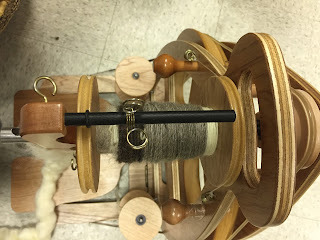 Several months ago, I signed up for a two-day spinning workshop in Southern New Jersey. It sounded like a lovely way to decompress from a family wedding planned for the prior weekend. It was. Although I've been spinning for years (and years and years), I am not a great spinner. I can spin. I like to spin, but it's not my sole focus. I tend to spin a little a lot of days and my resulting yarn is "so-so." OK. Not great. So I'm always interested in improving my skills. What a fun learning weekend! I did more with the fleece from a greater number of different sheep breeds than I ever have. We prepped--hand carded, combed, teased and flicked. 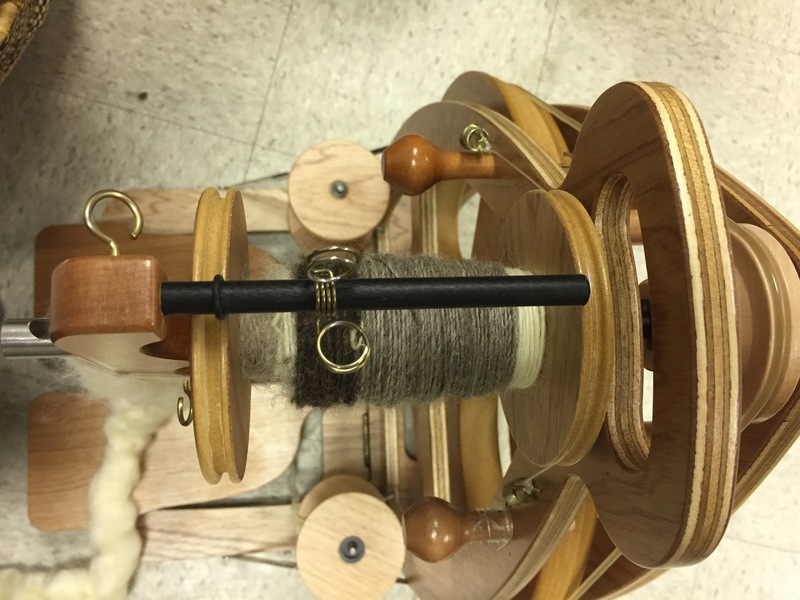 We spun from roving, combed tops, locks, and milled roving in short forward draw, supported long draw and unsupported long draw. I learned....a lot. The Guild was celebrating their fortieth anniversary with the workshops, but they also included public outreach in the mix. On Saturday evening, they held a celebration dinner, made a marbleized silk scarf and mounted an exhibit of guild members' creations. I loved their show and took a couple of photos (below). Third Star Fibre Artists Guild Show and Sale: ( L) Various guild members. (R) Annette Devitt's work.